Leadership roles vary considerably, with variances in titles, organisational structure, industry type, working environment and a myriad of other differences that exist in our workplace today. 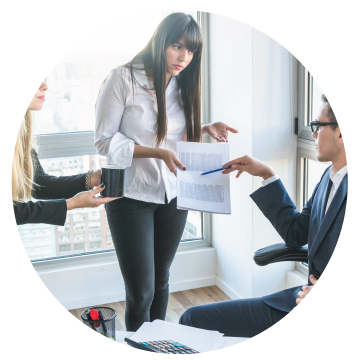 However, even though the titles and position descriptions may vary widely, in reality there is one common denominator and responsibility for all leaders. They all depend upon the fundamental need to work with and through other people. Generally, leadership involves gaining commitment from those you lead so that they understand their part in the overall vision of the organisation and are committed to achieving its success. Leadership involves the ability to communicate, to persuade, to encourage and to inspire people to take meaningful and productive actions. Leadership involves developing trust through positive and open relationships. Peter Drucker said, “Leadership is not rank, privilege, title or money. It is responsibility”. To achieve the best results with and through others, all leaders must be willing to take on the responsibility of developing effective communication and relationship development skills. Leaders who develop these skills and work effectively with and through others, produce the most outstanding results. The importance of effective communication across all levels and organisations has never been as profound as in today’s fast changing diverse and multicultural workplace. Effective communication and relationship development is the lifeblood that flows through the organisation’s arteries keeping it functioning, healthy and alive. The pace of modern business means that people are sending and receiving more messages, instructions and other types of communication than ever before. People are also under greater pressure to understand and implement new processes and changes whilst being expected to fulfil higher standards. At the same time team structures are changing frequently, requiring new team member to be brought up to speed as quickly as possible and new relations developed for optimum performance. 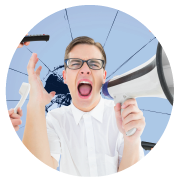 Customer relationships can also be made or broken by communication. You and other members of your team and organisation share a unique relationship based upon common goals for the organisation. 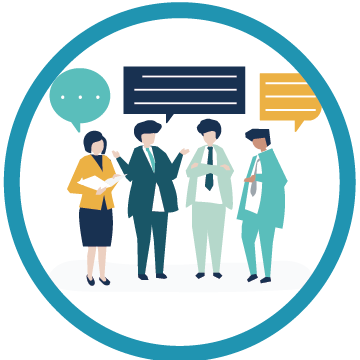 Effective communication binds all of the members of these complex relationships together enabling everyone in the team to achieve the desired outcomes. Constructive communication and persuasion saves time and effort, encourages co-operation and reduces stress. Developing these kills enables you as a leader to prevent difficult situations, communicate team goals, foster self-esteem, generate mutual respect and enrich the relations that underpin a positive working environment conducive to high performance. In other words, good communication and relationships improve the productivity and performance of the team. On a personal level, communication is the first interaction when meeting new people. It builds and maintains relationships. In fact, the quality of communication is typically the underlying reason for all relationships succeeding or failing. Communication is the glue that binds friendships together and fosters caring family relationships. The fact that organisations require effective communication skills from all leaders and managers cannot be over emphasised. As a leader consider the impact your communication has on the relationships within your team. Engaging and motivating your people to perform at their best requires meaningful communication. However, the first step in developing effective meaningful communication is to understand that it is a two-way street and, as the leader, you must be sensitive to and aware of other’s needs and perspectives. Too often, average leaders adopt the approach that “people need to do what I say as that’s my role”. In today’s world, where employees are volunteers, they choose to work within organisations where they are both wanted and appreciated, that old school attitude barely achieves average results. Successful leaders of today are sensitive to the needs of their people, understand what motivates them and use their communication skills to align the needs to their team member’s goals with the goals of the team. They know the value of building respectful and positive relationships. During the September to December 2018 quarter, The Leading Edge will provide tips and ideas on how our readers can develop their leadership through improved communication and relationship development. I encourage all leaders to set a goal to commit themselves to improve their communication skills and build stronger and more positive relationships at all levels. When it comes to leadership – what used to work before, simply isn’t working now and certainly won’t work in the future. Following on from his international 2015 – 2016 presentation tour “Broken Leadership”, Randy Slechta, CEO of Leadership Management International (LMI) will present the next chapter in the evolving changes in organisational leadership capabilities – that work. As an accomplished international speaker and CEO of LMI, Randy regularly addresses and meets with business and political leaders worldwide to develop strategies to capitalise on current and future business trends. Click the links below to book online now and access a special discount for LMA clients and Participants. Since becoming CEO, Randy has led LMI to 20 years of double digit sales growth and worldwide expansion, to where it now has representatives in over 70 countries and its programs are marketed in 25 different languages. Randy has degrees in Psychology and Business. He is also a best-selling co-author of The 5 Pillars of Leadership with LMI’s founder Mr Paul J Meyer which has already been translated into 8 languages. 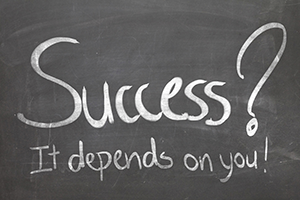 Leadership Management Australia (LMA) has been creating exceptional results through people for over 45 years. LMA is an Australasian business that works with organisations to boost their bottom line by developing the leadership of their key people and improving their employees’ performance and productivity. Our courses have already enhanced the leadership skills, team dynamics, performance, productivity and sales skills of over 130,000 people from thousands of organisations across Australia and New Zealand. 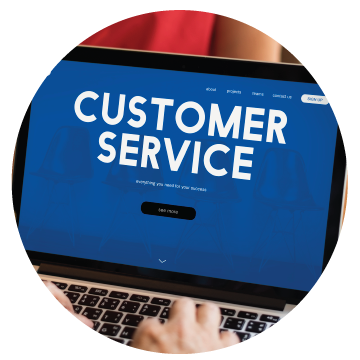 they offer a number of products and services supported by a proven system that can make a measurable impact on both individual and company performance, as well as the profitability of your business. Their products and services are accessible in more than 25 languages, and they rely on independent representatives to make them available in over 70 countries. American author and management expert Kenneth Blanchard once stated: “The key to successful leadership today is influence, not authority.” The best leaders are those who understand how they influence others and are able to manage that effect strategically. The goal of any leader should be to affect people in a positive way for the betterment of the organisation. A really good leader needs to understand how their behaviour and their leadership style affect others and learn how to deploy both to get the best out of their team. Understanding the effect you have on others is a kind of emotional intelligence. A good leader should view emotions as a useful source of information to help one make sense of and negotiate interactions with others. Leaders who can use their own and others’ emotions to navigate an organisation’s social environment are going to be more powerful than those who are “out of touch” with social cues. Differences in behavioural style mean that some leaders will be more effective in some situations than others. The best leaders understand their own behavioural styles and work traits and are aware of the situations best suited to their tendencies. That means they are able to tailor workplace situations to suit their management style so as to get the best results from their team. The best leaders understand that no two people are the same. Everyone likes to work and communicate in different ways and the best leaders almost instinctively understand this and tailor their communication and management styles to best suit the person they’re interacting with. Knowing employees’ work and communication preferences, understanding how they prefer to be managed and how they respond to authority, enables the best leaders to shift how they manage rather than forcing their employees to change to suit management. Consider having your HR team do some psychometric testing across your organisation or within specific teams. This kind of testing can help team members understand their own and each other’s working traits and preferences. For leaders, understanding how your team members prefer to work can offer invaluable insights into how to manage them to get the best out of them. Profiles International Australia provides The Profiles Performance Indicator™ – a DISC-type assessment that reveals aspects of an individual’s personality that could impact their fit with their manager, coworkers and team as well as their job performance. An extremely powerful tool for motivating and coaching employees and resolving post-hire conflict and performance issues. 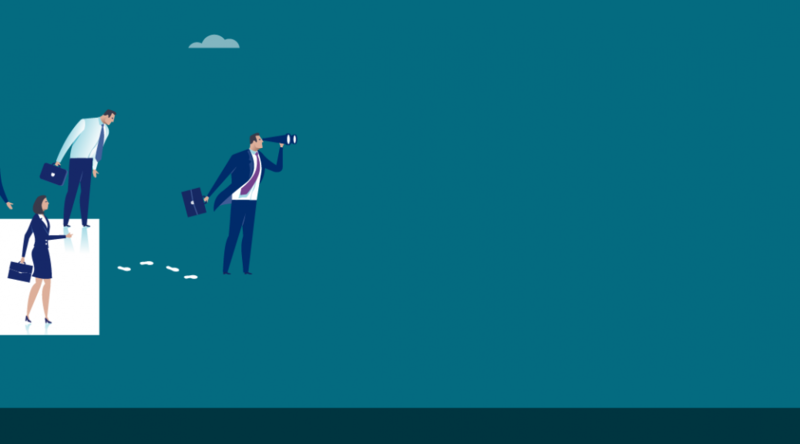 There are many people being promoted into management roles each year, and the transition from successful employee to successful manager is a difficult one, requiring a completely different skill set. 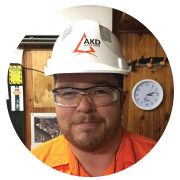 Many are set up to fail by not receiving adequate training but Christian Gibbs and AKD Softwoods in Queensland provide a perfect example of management development that works. Christian had been in supervisory roles for many years due to his experience in technical roles within the Sawmilling Industry, however he had never received any training or development opportunities in either leadership or his own personal efficiency. He completed the course “The Performance Edge” as part of a broader professional development plan in 2018. In his role as the Greenmill & Sawshop Supervisor for AKD Softwoods Queensland, Christian oversees the Greenmill and Sawshop staff. The company processes logs and produces mainly structural timber for house framing. The course had a strong impact on Christian due to the unique delivery and interactive experience and he feels that he has grown as a leader and also as a productive person, with increased personal efficiency which has given him the time to be a more productive leader. The Time Analysis tool, where participants are encouraged to dissect and analyse the use of their time during a work week, was the real turning point for Christian’s performance and the overall performance of his team as it made him realise the value of his time, and the time of his team. As a result, he began challenging some of the tasks that they were performing which were about providing information or which were simply done because that’s what they had always done. As a result Christian was able to reduce his hours of work from approximately 82 hours per week, which was a lot of time spent working at home after hours, down to the current level of 50 hours per week. “Previously I was caught up in the fact that I was just so busy. In reality, I was inefficient with my time, and working on too many projects at once, with a low completion rate. Being as “busy” as I was, I wasn’t spending the time with my team and understanding their challenges and motivating factors,” he said. The results have spread further within the company as they prompted the rest of the team to assess some of the tasks they were doing, and the method of how they were structuring their work day. 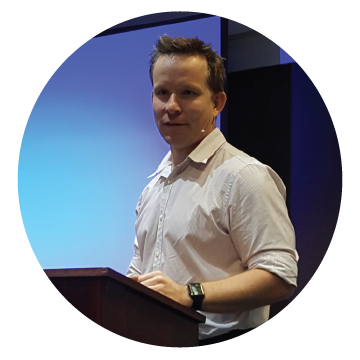 Christian’s team members were able to adopt some of the practices and tools he had implemented as a result of what he’d learnt with LMA. The end result is that the whole team are all far more effective and productive in their roles, with the team realising the results of our productivity. Recently, the Team Leader in Christian’s team, Dan Wall, has commenced the Success Strategies for Team Leaders & Supervisors course. As his supervisor, Christian now has the chance to act as a Mentor for Dan and is already seeing Dan starting to make the connection with some of the actions and tools Christian previously implemented, and the change in mindset which he’s been using to lift the morale of both our Leadership Team and also their Crew on the floor. Building her ‘slight edge’ was clearly not enough for Sue O’Rourke as she returns to fine tune her sales skills in 2018 with LMA. “Continuous reflection about whether I am working on a High Payoff Activity, whether tasks could be delegated and implementing strategies to reduce interruptions,” she adds. 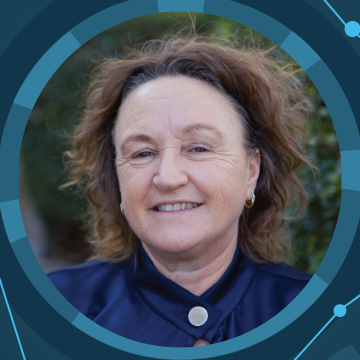 Flourish Australia, a charity that supports people with the lived experience of mental health issue, saw the improvement in Sue’s management of one of Flourish Australia’s social enterprises, Figtree Conference Centre, and signed her up for The Sales Edge program in 2018. Sue’s experience as a mental health worker plus her experience managing her own business assisted her managing the tension between the two goals of the business; financial sustainability given high wages due to lower productivity and supporting our employees with their wellness and transitioning them to open employment. However, the Sales Edge program is helping her build on the sales and growth of the enterprise. And where to from here for Sue? “My manager had previously done TPE with LMA, hence his suggestion I do it. I have since enrolled the supervisor in our venue in the Success Strategies for Team Leaders and Supervisors (SSTLS) course. So LMA language and tools are becoming part of Flourish Australia. Jim Mildren from Boral has worked with LMA over many years mentoring many of Boral’s operational staff through our LMA courses. If you’re looking for someone with great mentoring experience, Jim is your man! As the Concrete Operations Manager – Country North for Boral Construction Materials. 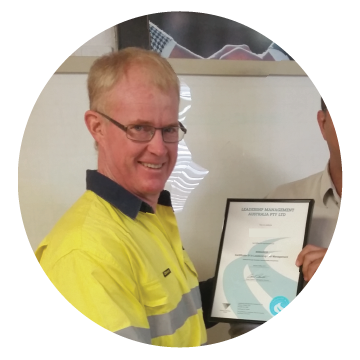 Jim is responsible for concrete production in Cairns, the Tablelands, Townsville, Mount Isa, Weipa. In total, Jim’s area employs 53 staff in total, including 4 direct reports. Jim’s experience mentoring people was generally focused on the Challenge of leadership course. Quite a few front line staff from his organisation have completed LMA programs after his encouragement. Jim believes LMA courses gives his staff a good grounding in people management skills, but more importantly it teaches people to critically evaluate their own performance and to make improvement plans for themselves. Jim feels that the best part of the experience is the satisfaction of helping someone get closer to their potential and has witnessed this first-hand time and time again with LMA Participants. “We tend to have people come through the ranks to our front line management positions and it is a great feeling to be able to assist someone to transition from a hands-on role into a position of responsibility,” he says. Over the years Clinton Matthews has been an ideal client; one who understands the importance and value in developing his people, takes a hands-on approach in this process and is a strong advocate for what we do at LMA. Having been a Manager Mentor for over 40 people through three different programs (Success Strategies for Team Leaders and Supervisors, High Performance Management and the Challenge of Leadership) spanning more than 12 years and three different companies, Clinton knows what he is talking about when he talks LMA. Alspec is a leading national designer and distributer of aluminium systems for both residential and commercial applications, as the Operations Project Manager Clinton feels that the company has benefitted from the real-time, real-life application of the learnings in the workplace. “Whilst the process provides benefit to tangible activities applied by the student it also assists myself greatly in identifying my employees’ strengths and weaknesses. The process enables me to better deploy and support them within an organisation so that the employee is able to reach their full potential,” says Clinton. After initially introducing the LMA process into the Brisbane Operations, Alspec has since utilised LMA nationally for the development of its frontline leaders through the Challenge of Leadership program in that time. This approach has enabled them to standardise their language around leadership whilst providing a supported career path for their employees. As a result of the training that he and his employees received, Alspec have been able to drive quick and significant changes within the organisation by not only changing the culture for the better but also by developing leaders that are able to become more productive and independent with decision making within the Operational environment.